The Barrie Inn offers many dog training services Group classes – Private lessons – Agility – Board and Train – and Daycare and Train. Among our training staff, Ellen, and David, are NYS Certified Master Dog Trainers who assess your dog’s needs in the areas of obedience and behavior. 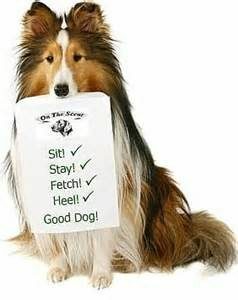 We offer our One on One Training Program to help jump start you and your dog. Each One on One Program is designed around the your needs. Call or come by and meet with David, or Ellen to discuss your puppy or dog’s Training needs TODAY! 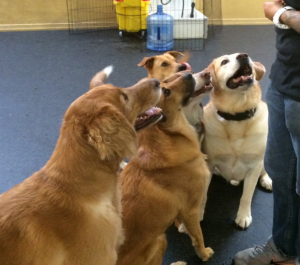 Ask about Nose work, Agility and our FITPAW program. We specialize in behavior modification and rehabilitation of adopted and rescued dogs with unique challenges. For more information about Puppy – K and Adult Dog Obedience classes held on Monday and Tuesday evenings, as well as our classes and workshops including Agility For Fun and Scent (Nose) Work: Please call The Barrie Inn of Woodmere at 516-569-3647. Let the Scent Games Begin!